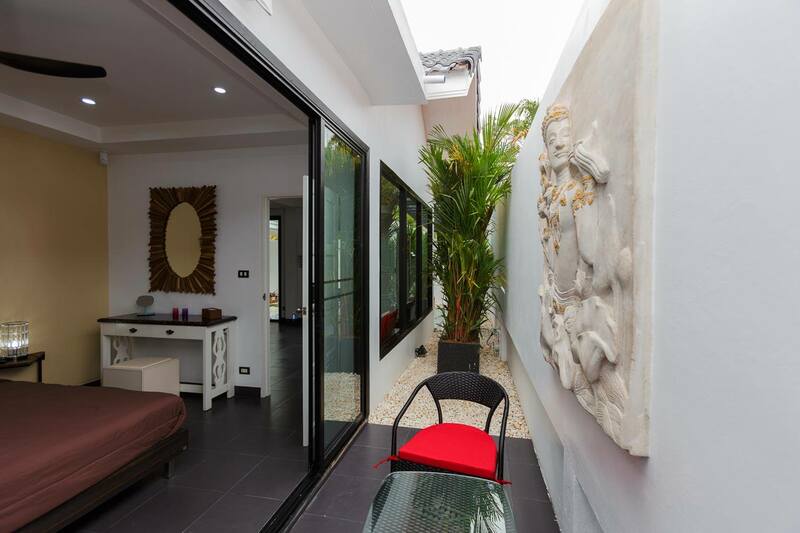 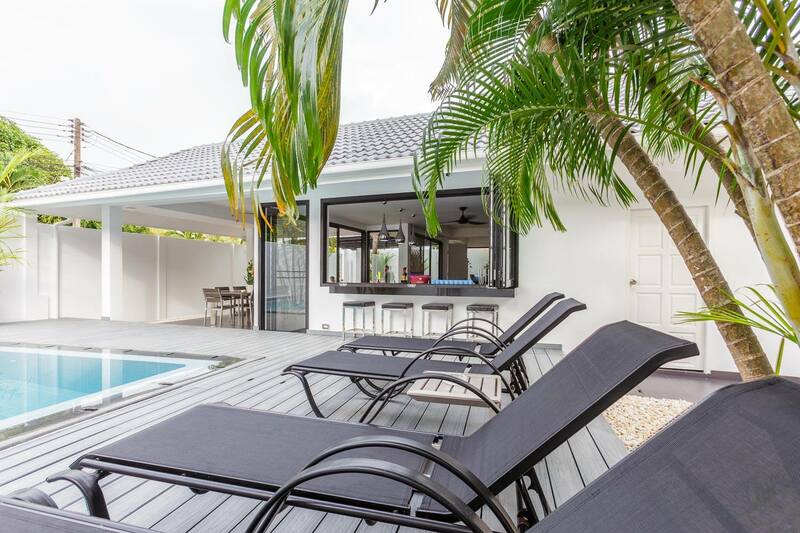 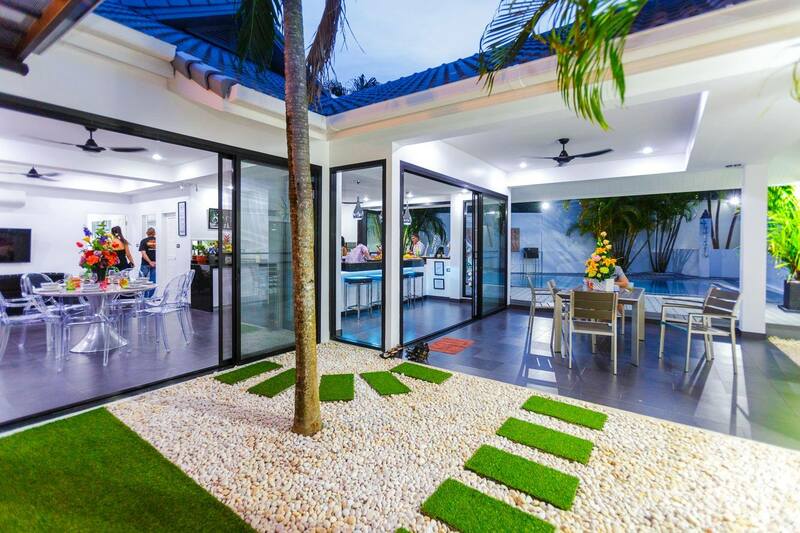 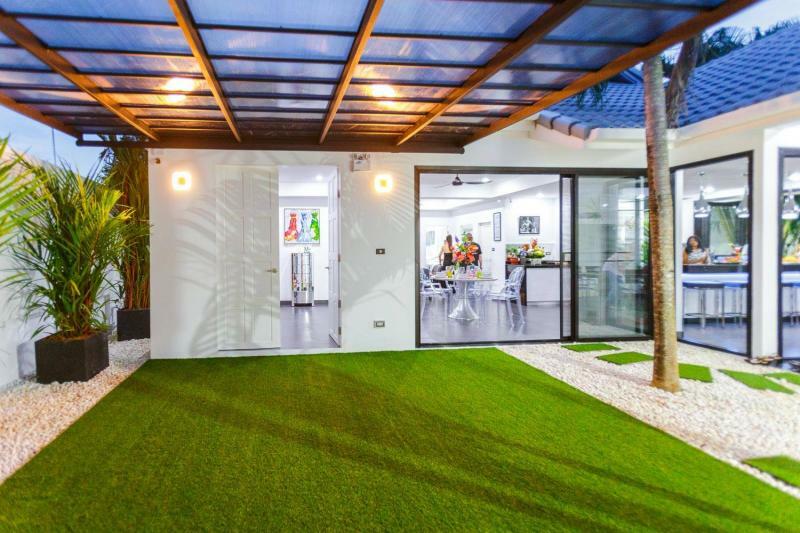 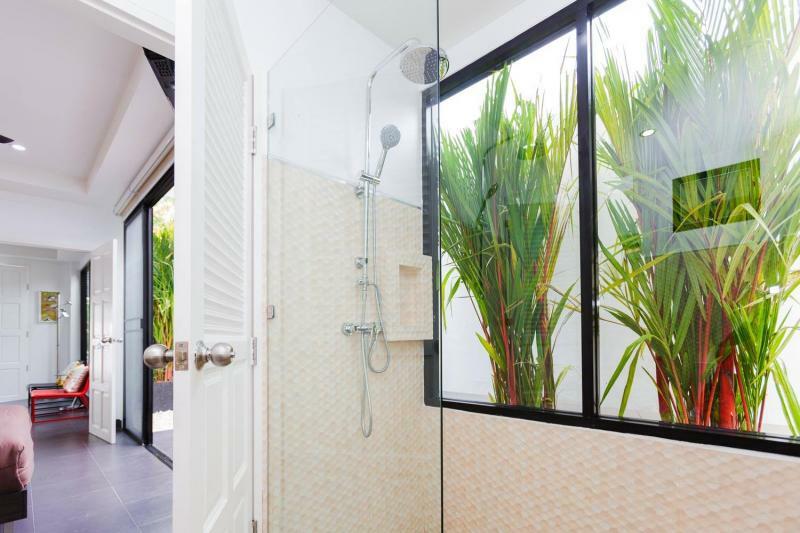 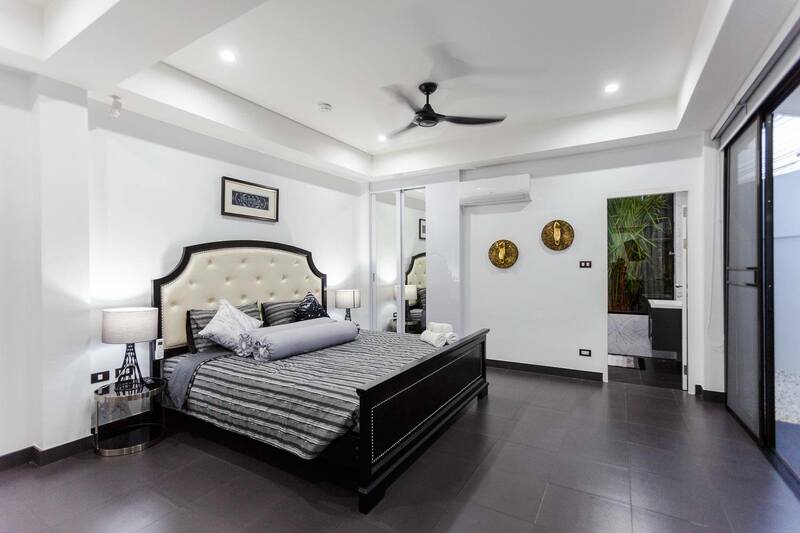 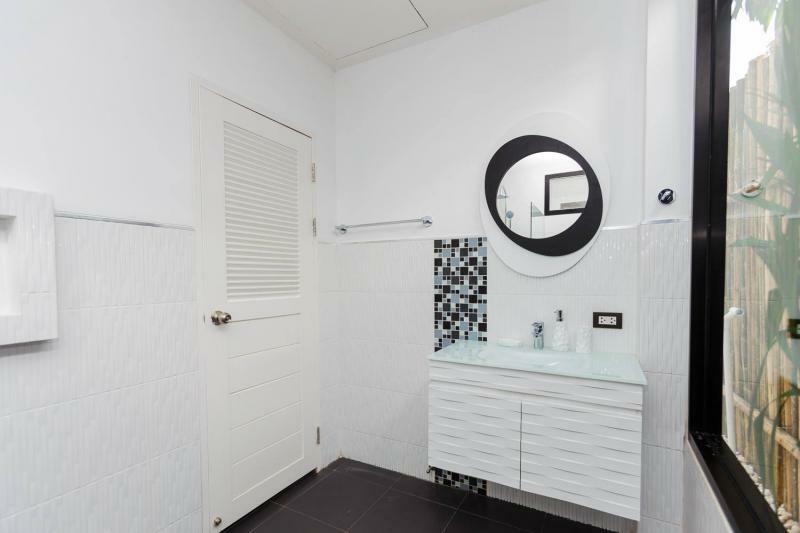 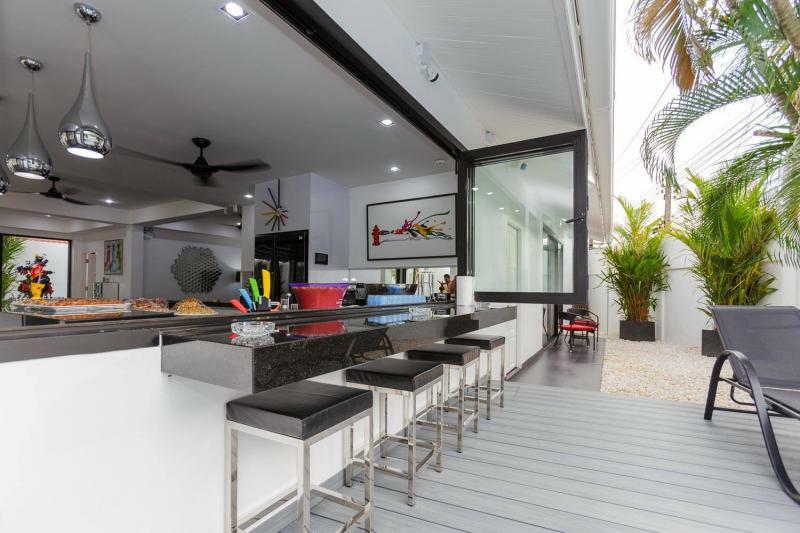 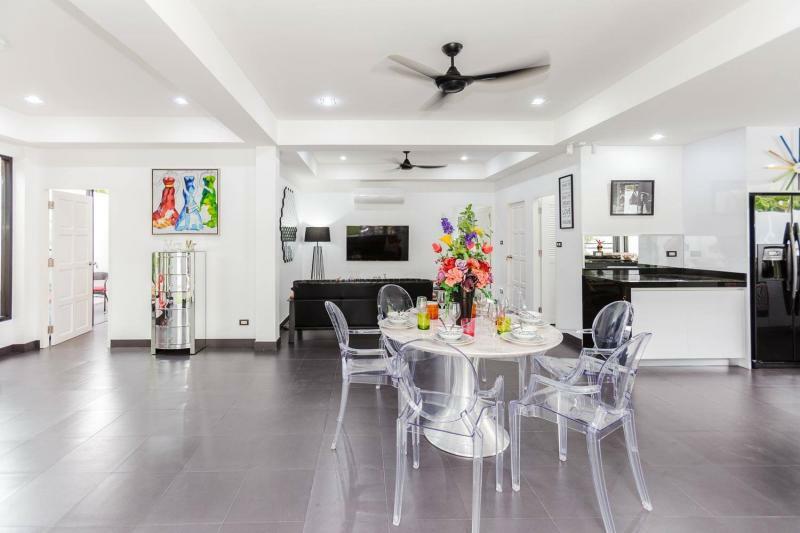 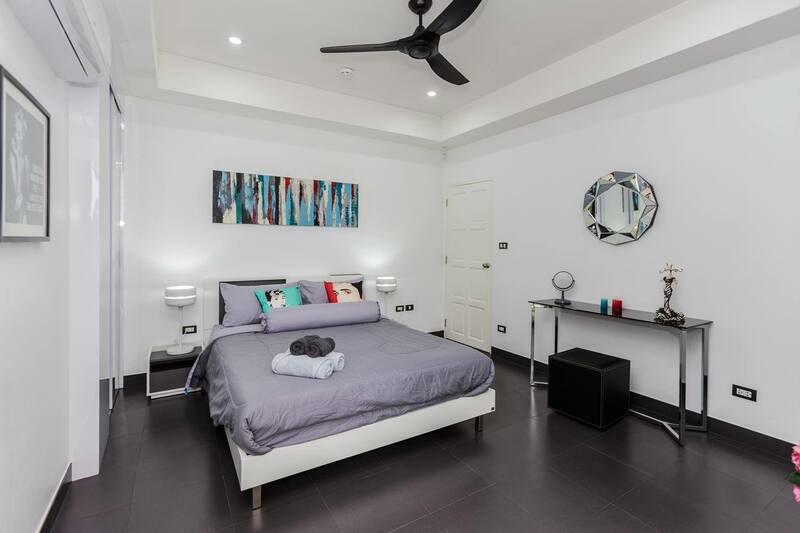 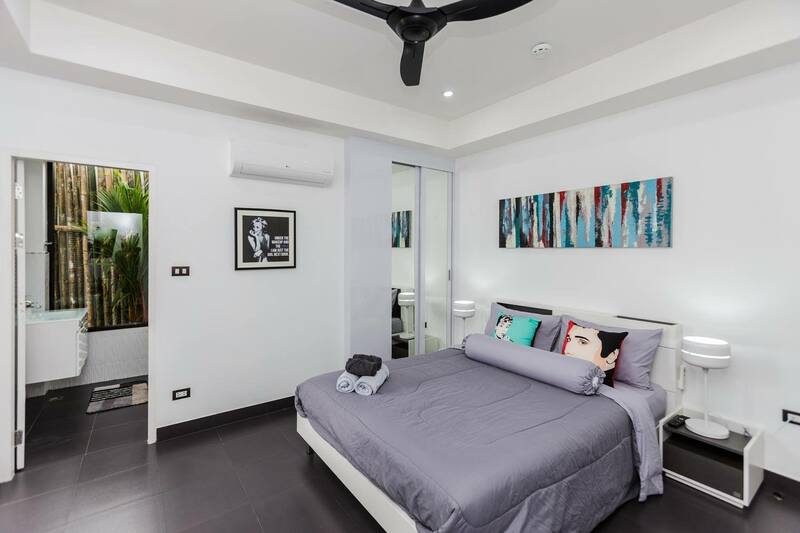 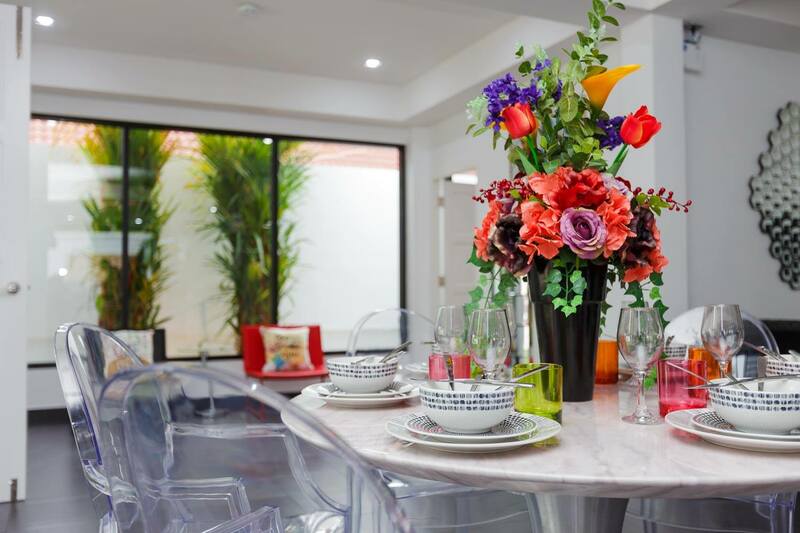 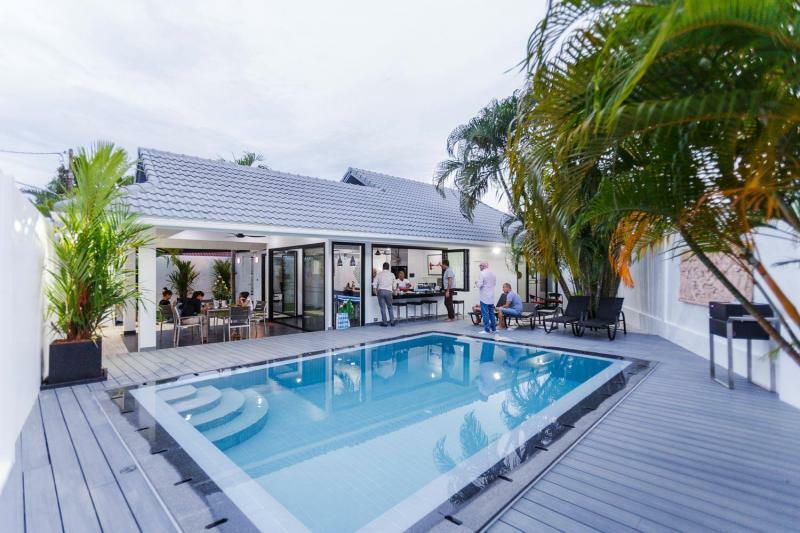 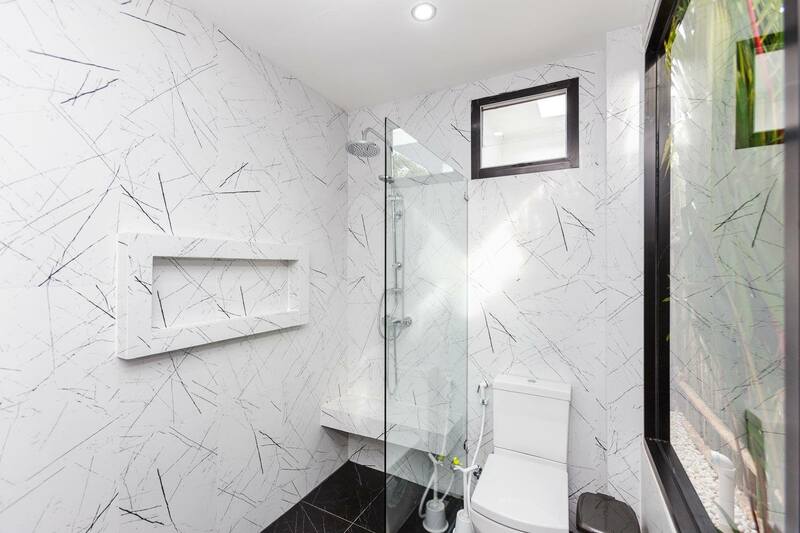 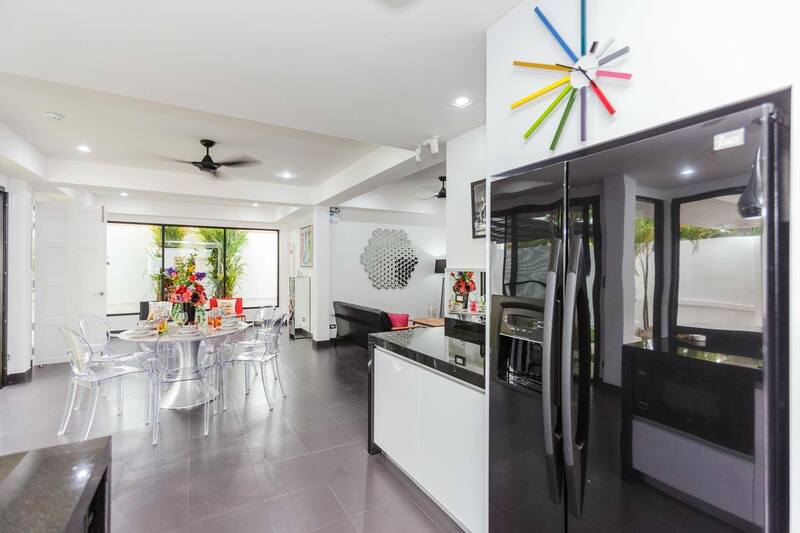 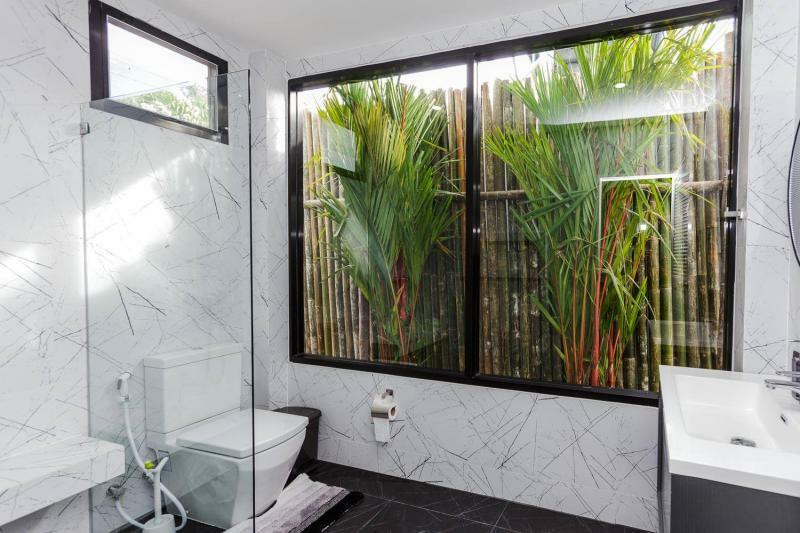 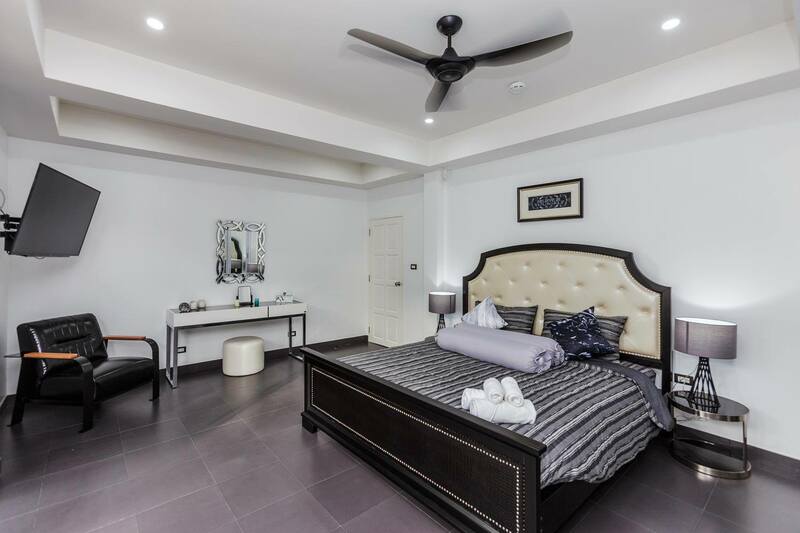 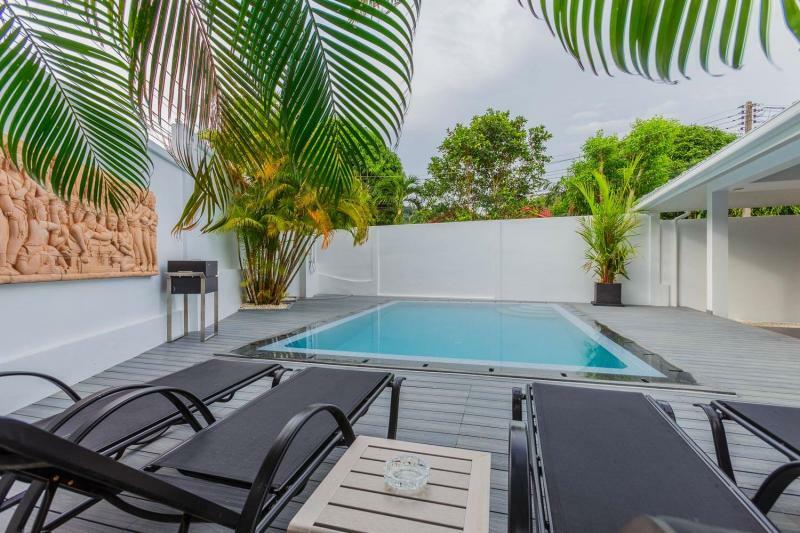 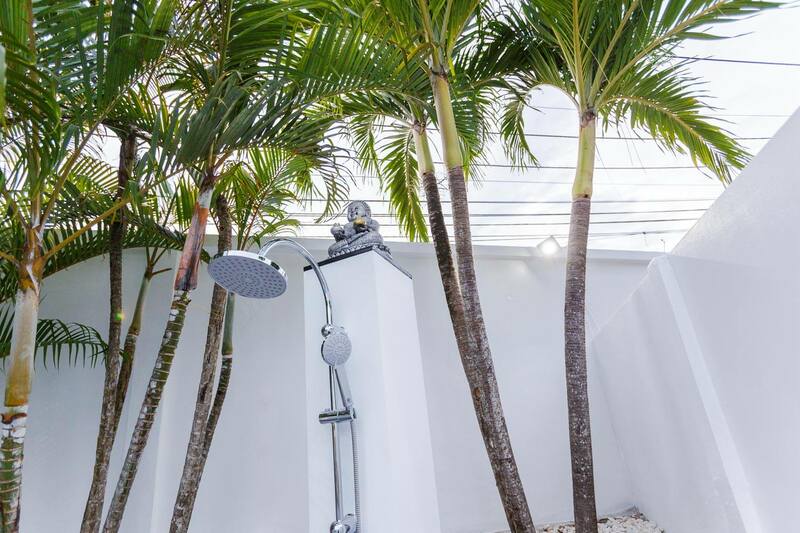 Charming brand new modern pool villa with 3 bedrooms with ensuite bathrooms. 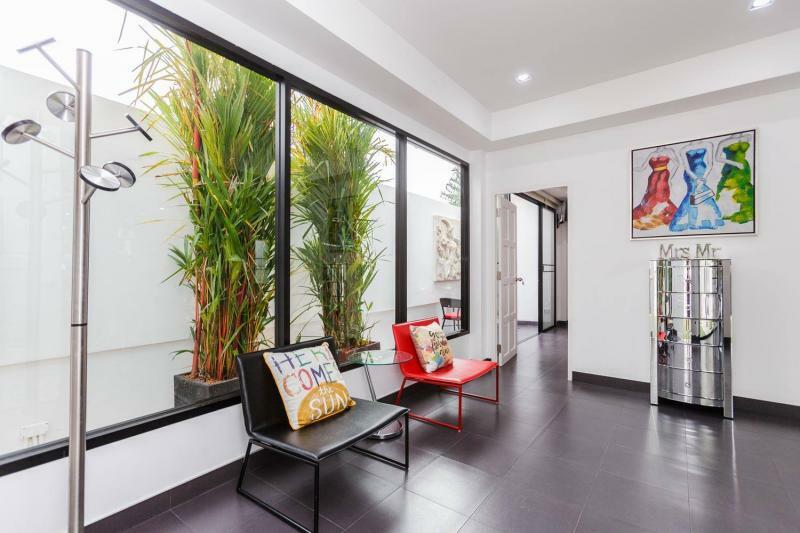 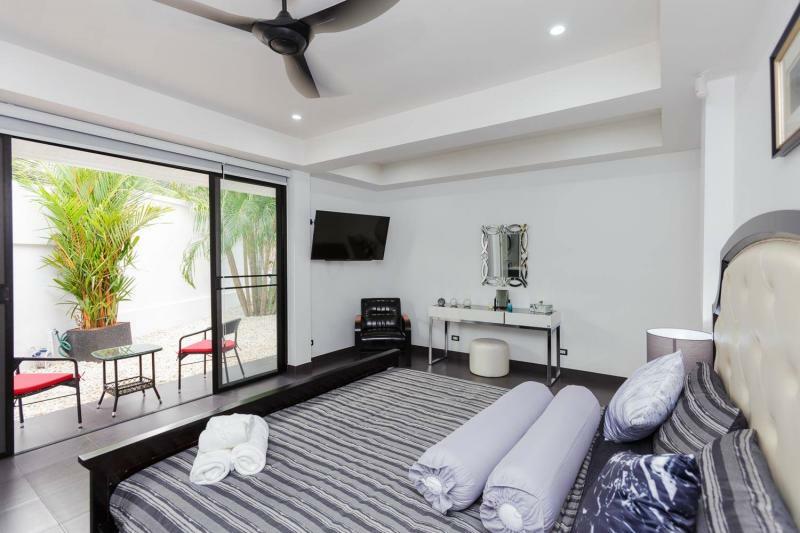 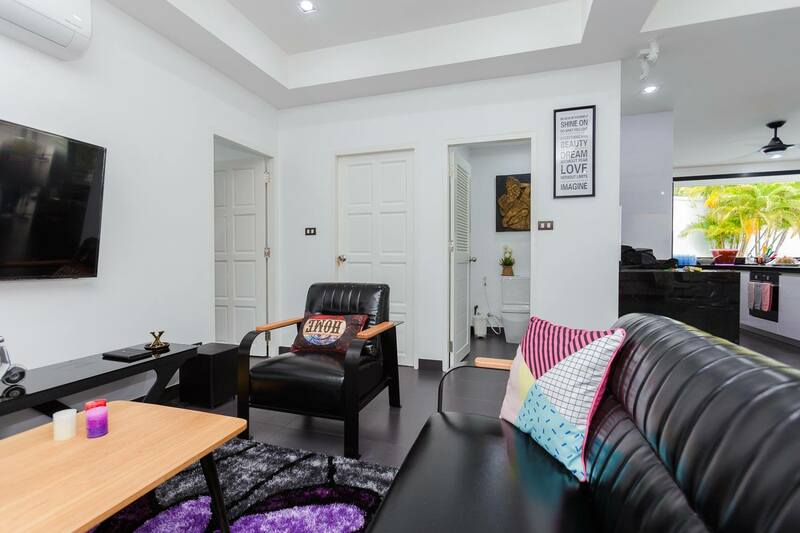 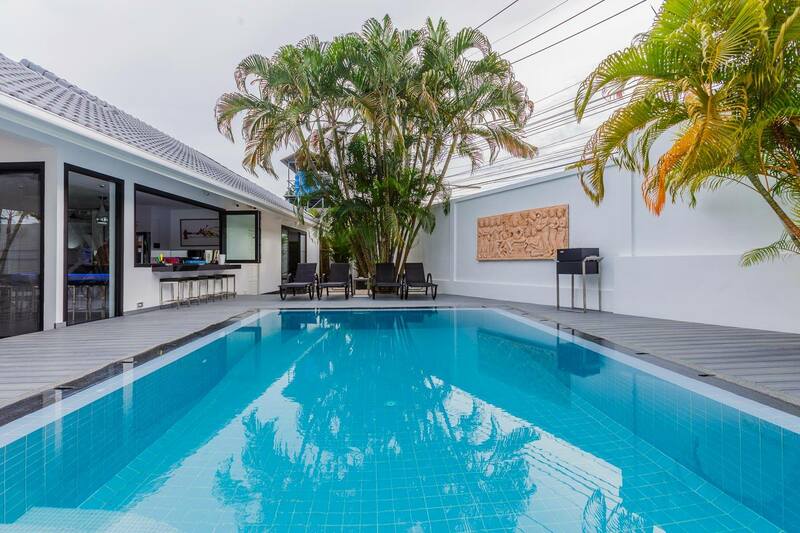 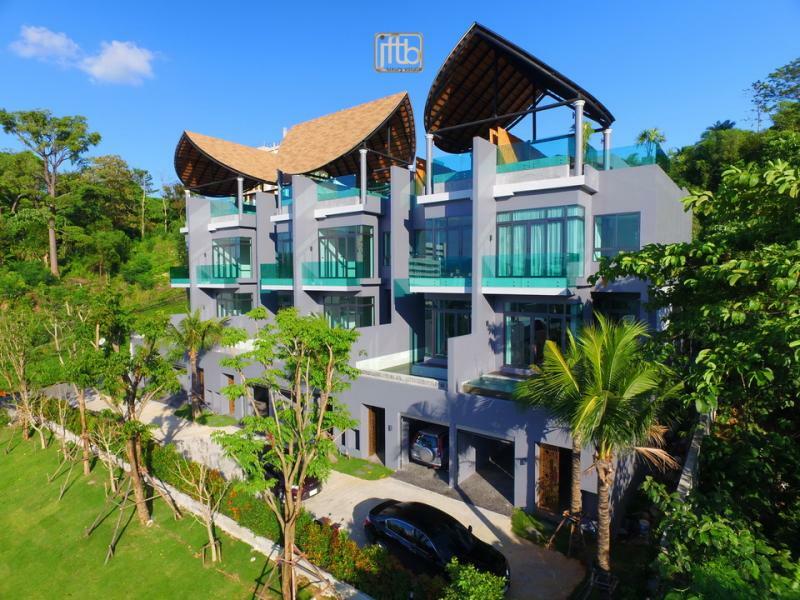 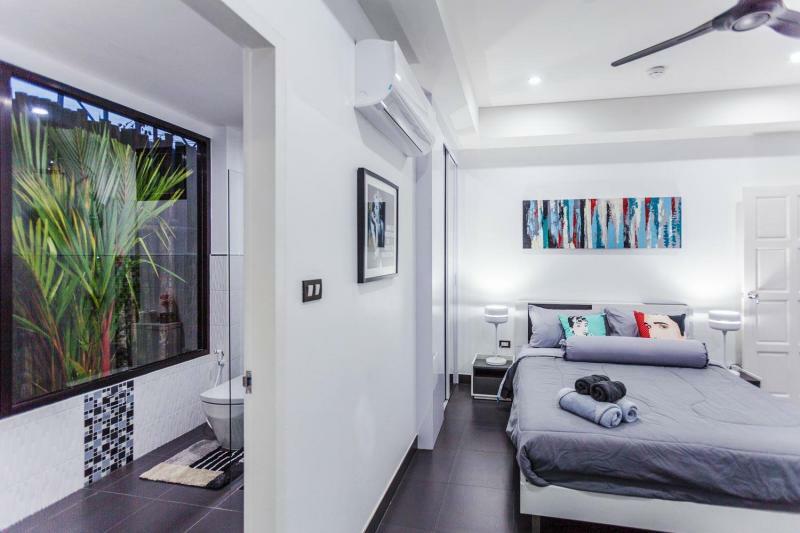 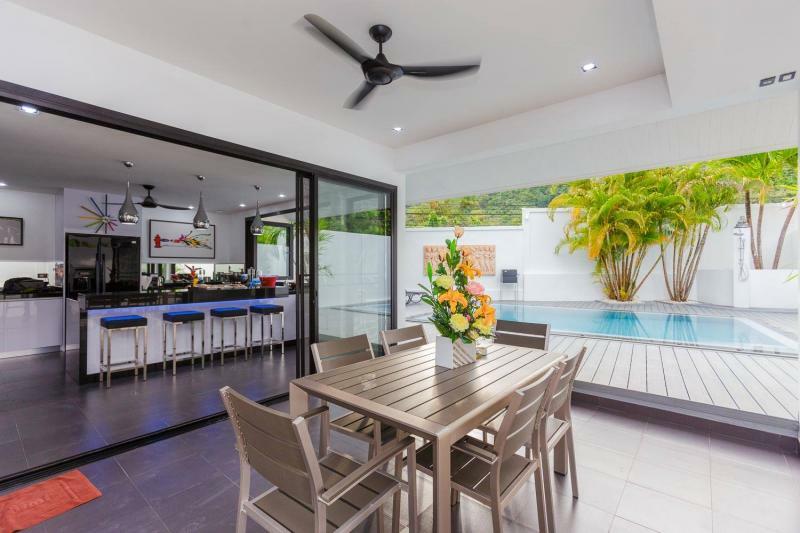 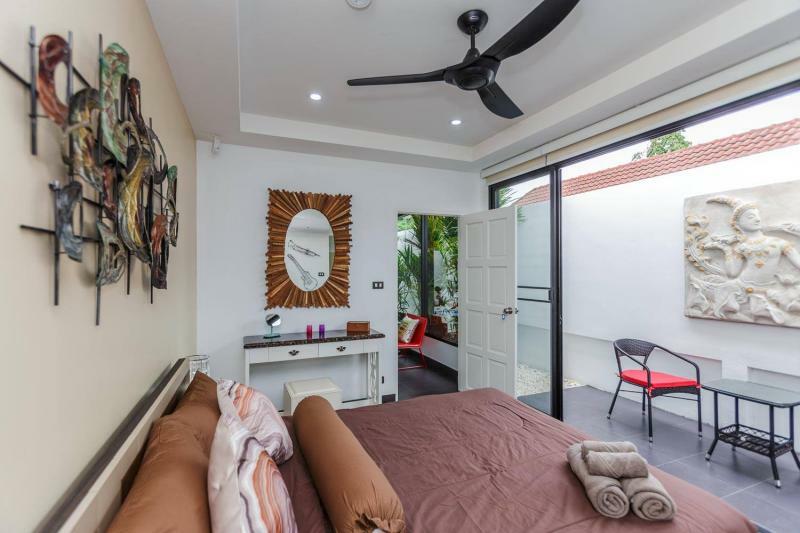 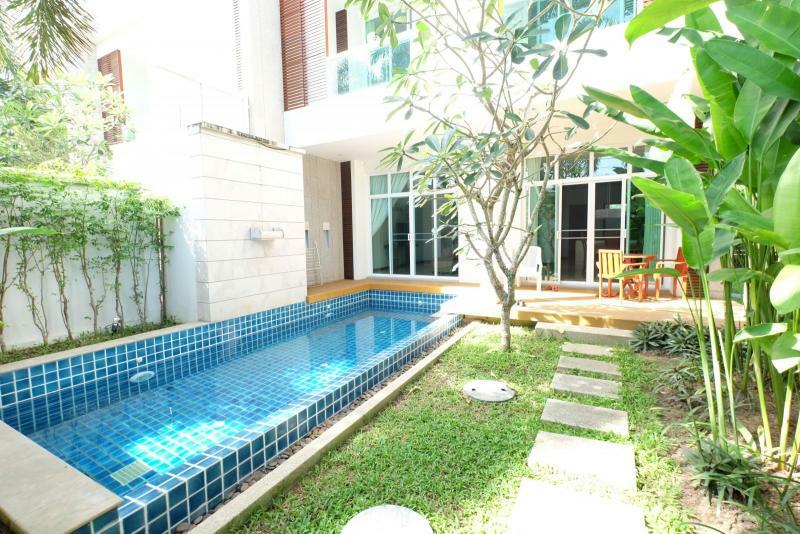 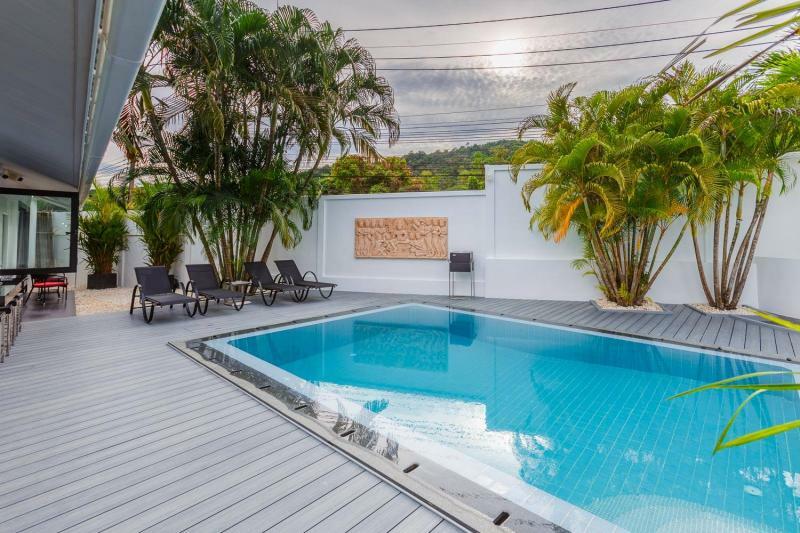 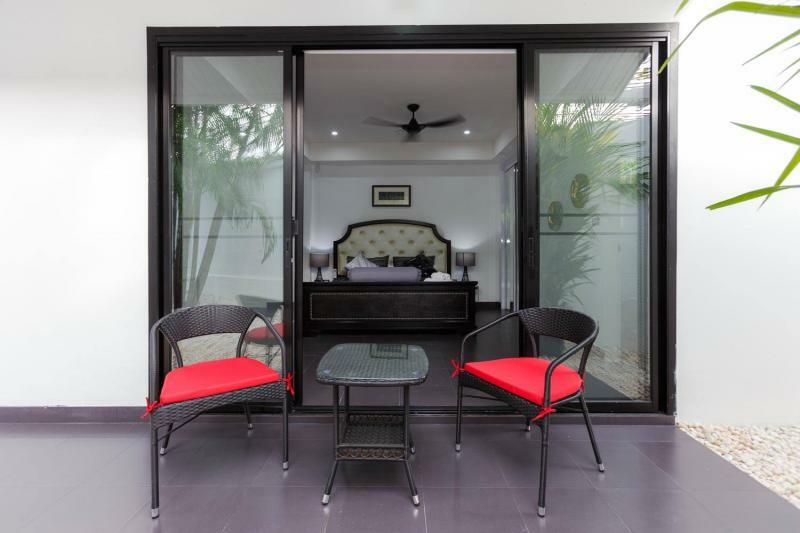 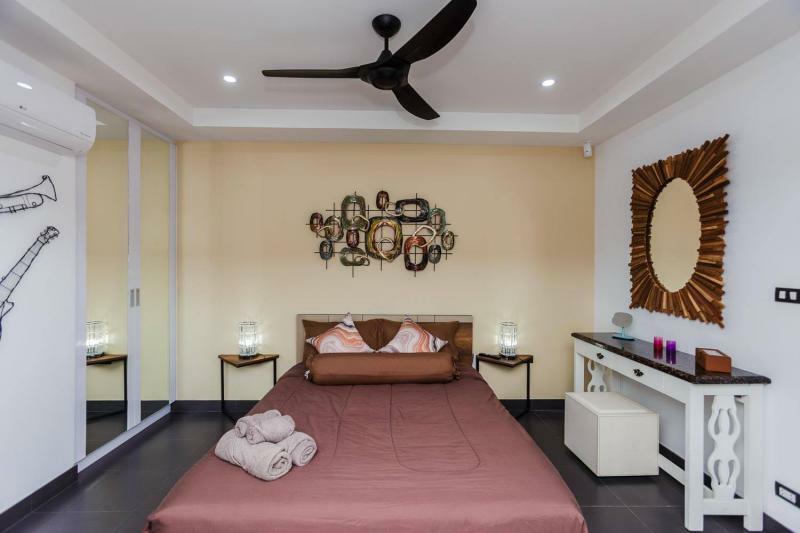 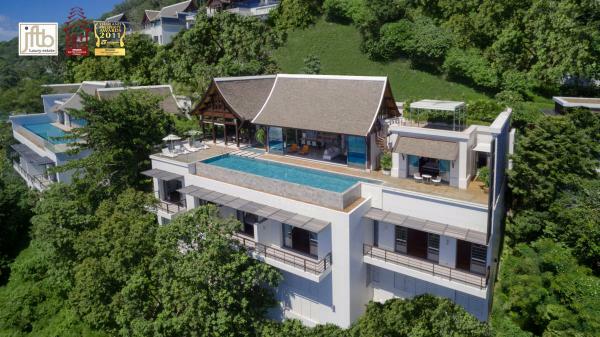 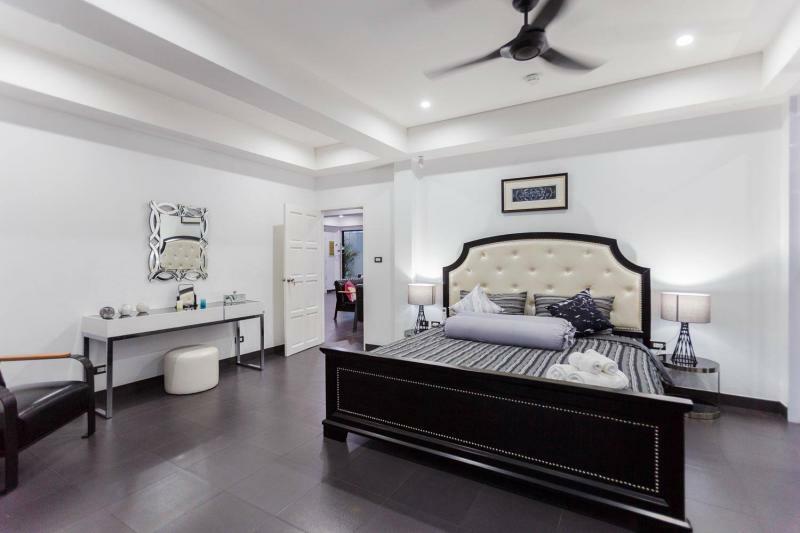 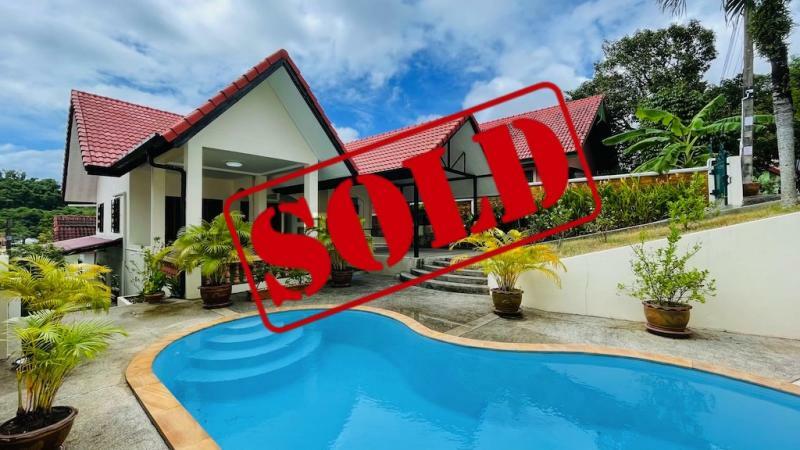 Excellent location at just a few minutes to Nai Harn Beach, one of the most beautiful beaches of Phuket island and 10 mn drive to Tesco and Makro supermarkets. 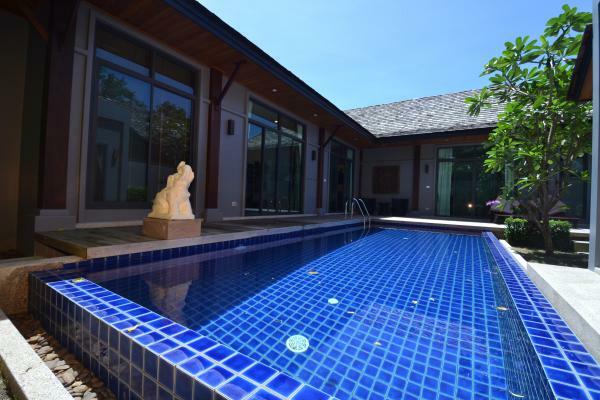 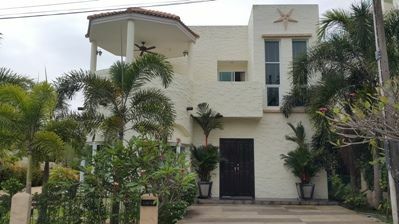 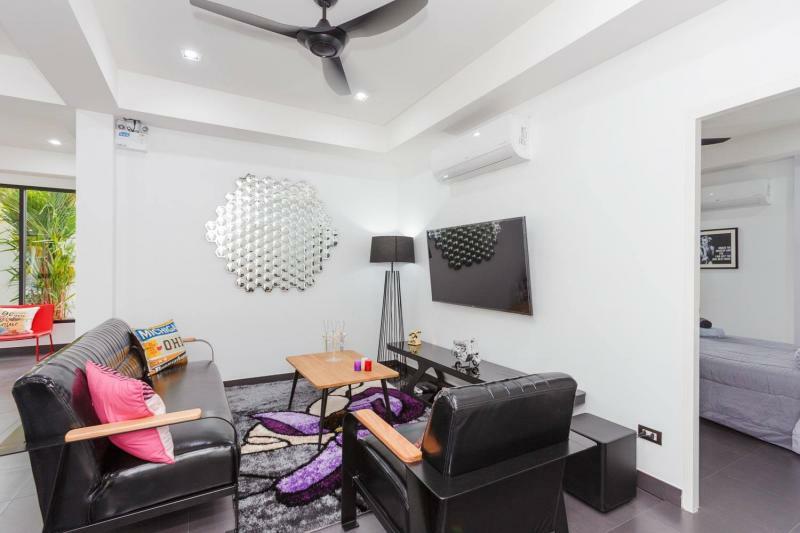 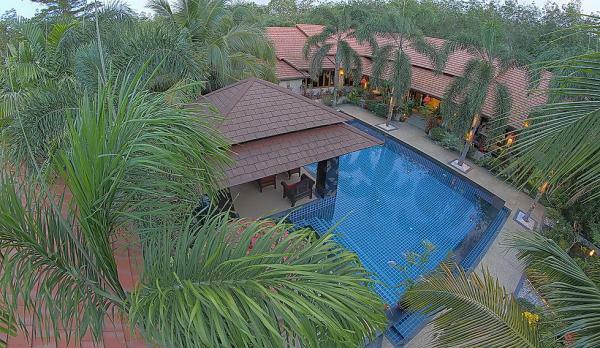 This 3 Bedrooms pool villa is fully furnished. 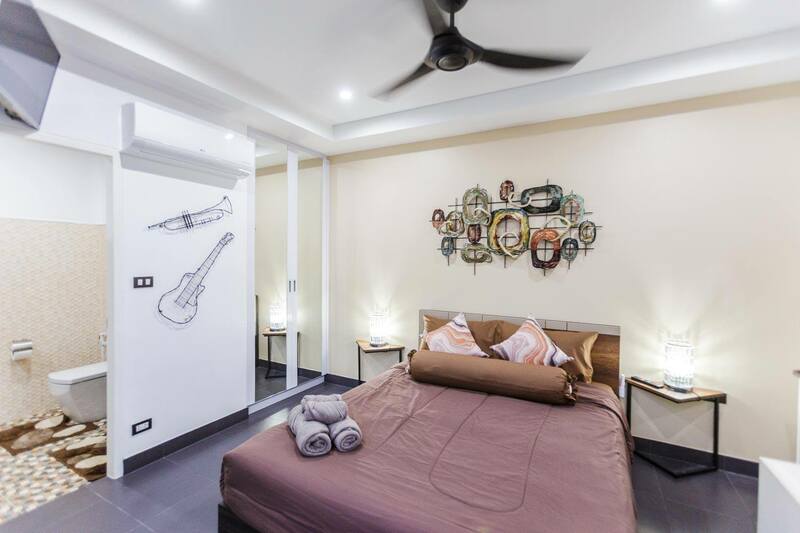 All room has air conditioning, ceiling fan, Wifi and Cable TV. 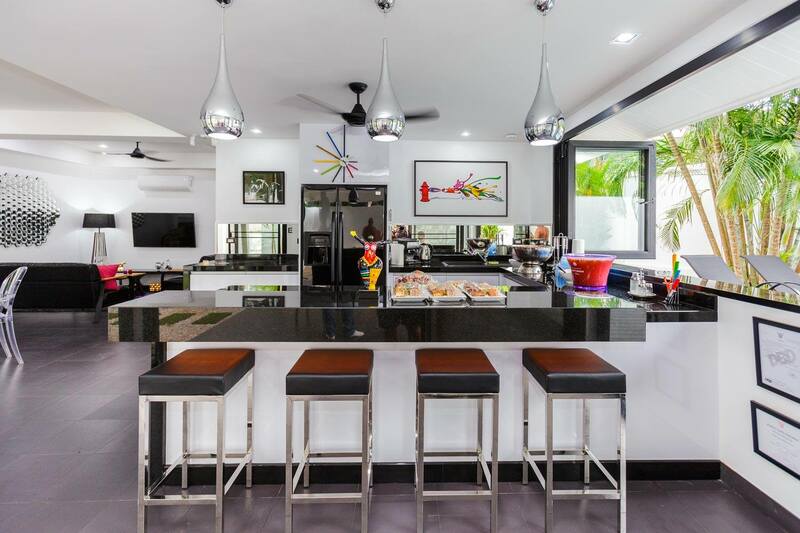 An open plan living area with a Western style kitchen and a bar with direct access to the pool. 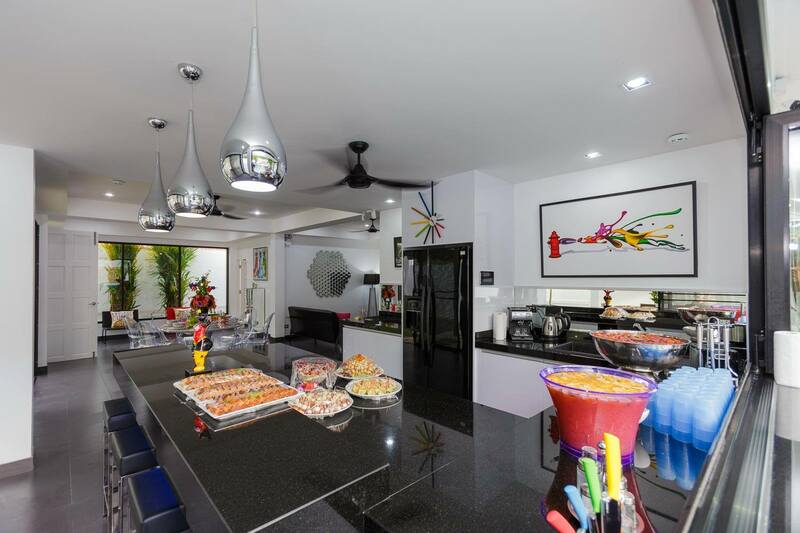 Kitchen with fully appliance, American fridge, Oven, Microwave, Dish washing, electric hob, hood , washing machine. 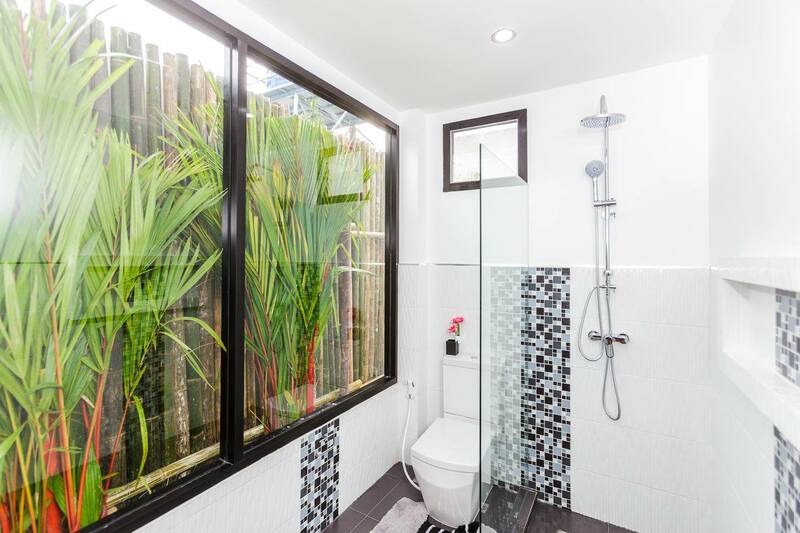 A storage laundry room, private carport with space for 1 car and motorbike and landscaped garden. 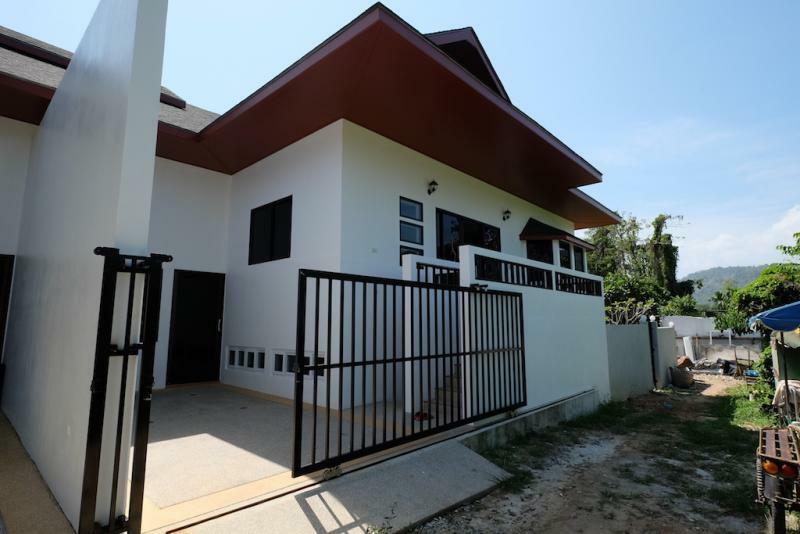 Security system : Smart Home system with control of the villa via smartphone with 8 CCTV cameras , alarm system and door phone with LCD screen.